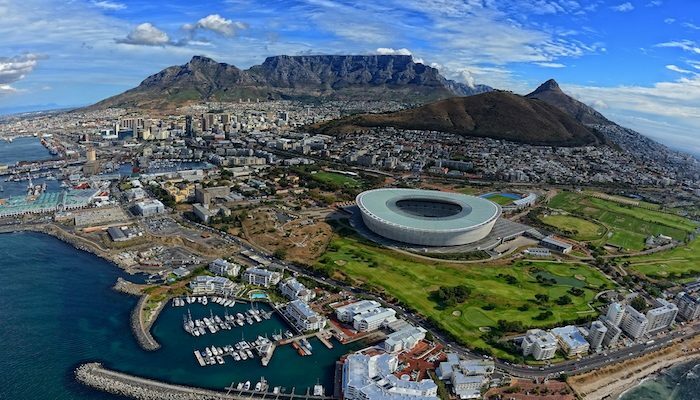 Cape Town, South Africa is among the most spectacular cities in the world — up there with San Francisco, Vancouver, Sydney, Hong Kong, and Rio. 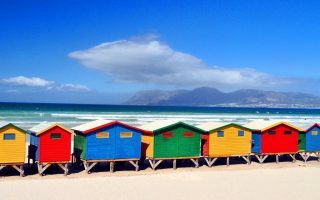 Cape Town is famous for its harbor, natural setting in the Cape Floristic Region, beautiful landmarks such as Table Mountain, and superb beaches. 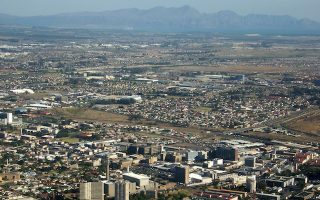 The city centre, known as City Bowl, is the pulse of the Mother City, providing the lifeblood of the surrounding areas. Running is a great way to discover this city full of diversity, culture, history, and natural beauty. One important thing to consider, Cape Town is not flat. The streets in the city center begin rising as they leave the downtown “bowl”. There are a variety of different runs accessible, but the ones with the best rewards involve burning up those calves. Transit options in Cape Town includes the MyCiTi bus service and taxis. The MyCiTi services includes linking the Airport to the Cape Town inner city, as well as all suburbs of the City Bowl and Atlantic Seaboard all the way to Llandudno and Hout Bay. Cape Town has two kinds of taxis: metered taxis and minibus taxis. Please note unlike many cities, metered taxis are not allowed to drive around the city to solicit fares and instead must be called to a specific location. Minibus taxis are the standard form of transport for the majority of the population who cannot afford private vehicles. Be warned, these taxis are often poorly maintained and are frequently not road-worthy. Trace the footsteps of Van Riebeeck, the founder of Cape Town, and see the major landmarks within the city. Camps Bay beach is one of the nicest in the Cape Town area. 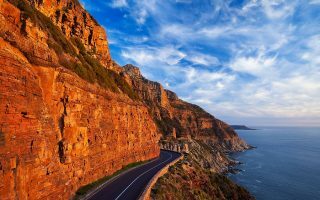 It is known for its backdrop of Table Mountain and the Twelve Apostles, which are cliffs on this side of the mountain that form an undulating series of buttes. 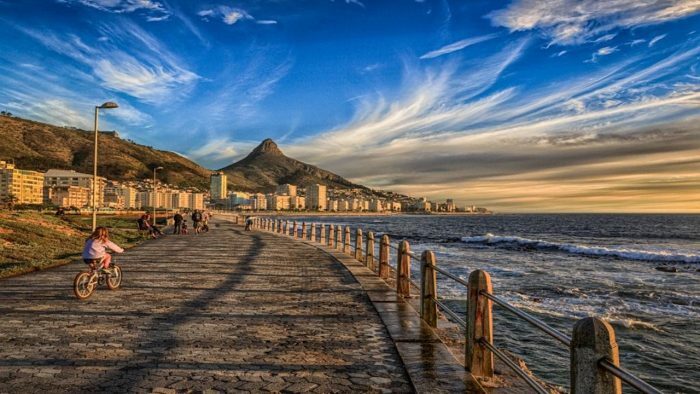 The Sea Point Promenade is probably Cape Town’s most popular route. The path between Granger Bay and Bantry Bay is flat, surrounded by green grass and stunning sea views. 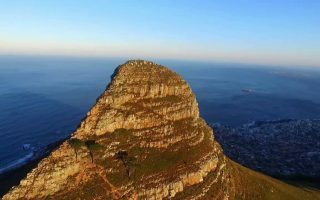 Lion’s Head lies between Table Mountain and Signal Hill. Lion’s Head peak forms part of a dramatic backdrop to the city of Cape Town and is part of the Table Mountain National Park. 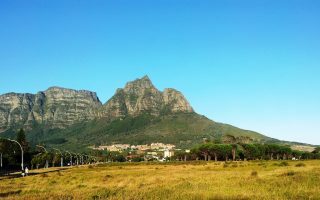 This city park is great if you want to zone out and get great views of Table Mountain National Park. Rondebosch Commons is in the Southern Suburbs of Cape Town, about 10km southeast of the city center. 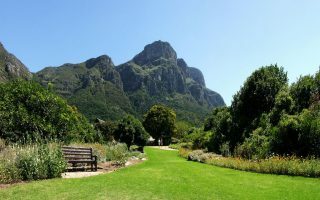 Kirstenbosch National Botanical Garden lives up to its reputation as the most beautiful garden in Africa and one of the great botanic gardens of the world. If you are in search of epic views, running to the top of Chapmans Peak will not disappoint. Home of the Wietse se Run Saturday morning group run. 6 km, 12 km, 20 km, and 29 km options. Looking for some fun and friendly competition? Cape Town hosts a selection of Parkruns throughout the city. 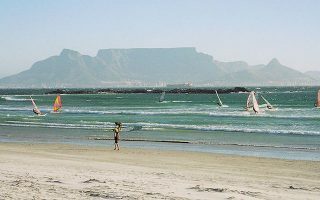 Cape Town has a Mediterranean climate with mild, moderately wet winters and dry, warm summers. Winter (June through August) may see large cold fronts with significant precipitation and strong north-westerly winds. The average high is 64 °F (18.0 °C) and the average low is 47 °F (8.5 °C) during the winter months. Summer (December through March), is warm and dry. The average high is 79 °F (26.0 °C) and the average low is 61 °F (16.0 °C). Ocean water temperatures vary greatly, between 50 °F (10 °C) on the Atlantic Seaboard, to over 72 °F (22 °C) in False Bay. 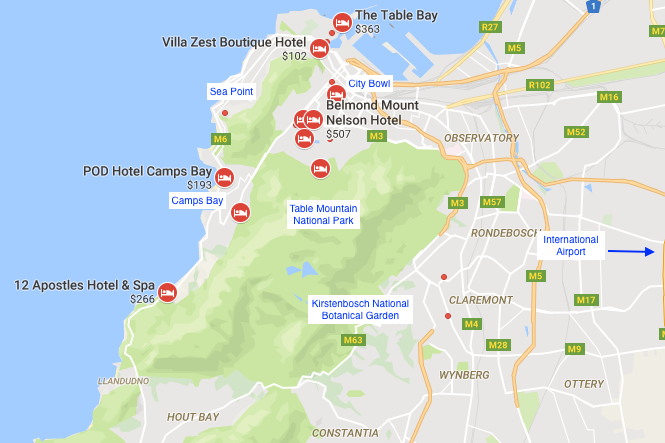 Most of Cape Town’s hotels are located in three areas: the City Bowl, Clifton, and Camps Bay. The City Bowl is Cape Town’s commercial center. 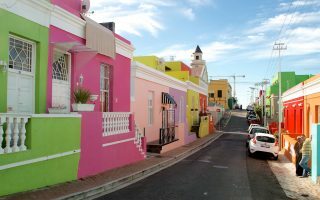 It is home to trendy neighborhoods such as Gardens, De Waterkant, and Bo-Kaap. 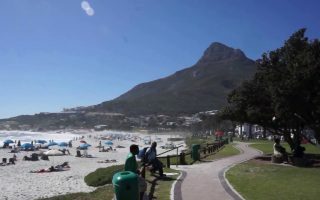 Clifton and Camps Bay where white-sand beaches border the city’s ritziest area. 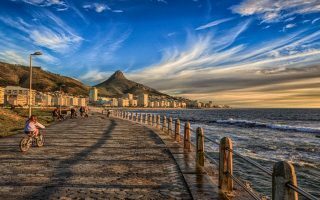 From a running perspective, the Historical Cape Town, Camps Bay, Sea Point Promenade, and Lion’s Head routes are easily accessible from these areas. See running overview map for store locations. Green icons indicate route starting points. Run Specialist Store. Cape Town. In-store video running gait analysis. Holds various running events at the store. See website for details. The Sweat Shop. Claremont. South Africa’s largest (by sales) specialist running shop. Kotov Sports-Specialised Running Shop. Century City. Atlantic Athletic Running club is based at Hamiltons Rugby Club in Green Point. Visitors are welcome to join Club Runs at no charge. Please contact Club Administrator on SULLYETT@MWEB.CO.ZA if you have any queries. Group Runs: A quick, rough guide to the regular weekly trail-running groups (CRAG / K-Way VOB / MATES / Celtics / Drifters). Various trail running groups hosting open group runs on Tuesday, Wednesday, Thursday, Friday, Saturday and Sundays. Details provided in link. Cape Town has numerous running events! Road Running Events Calendars #1. Events Calendars #2. With so many great mountains nearby, there are also lots of trail running events! Trail Running Events Calendar #3. Events Calendar #4. Lion of Africa Half Marathon February. 21.1km Half Marathon,10km Run/Walk and 5km Run/Walk. Cape Peninsula Marathon February. Marathon and Half Marathon. Old Mutual Two Oceans Ultra and Half Marathon April. Ultra (56K) and Half Marathon (21K). FNB Cape Town 12 ONERUN May. 12K Road Race. Sanlam Cape Town Marathon September. Marathon, 4.2K Fun Run as well as 22K or 12K Peace Trail Run and 10K Peace Run. Hout Bay Harriers Chappies Challenge October. 15 & 10K. Up Chapman’s Peak Drive and back with a loop in Hout Bay Village. OUTsurance 94.5KFM Gun Run October. Half Marathon, 10K and 5K Fun Run. When the Cape Field Artillery fired their military gun in 2013, 19,525 entrants took to the streets of Cape Town, making the Gun Run the second largest road running race in the country. Run the Vines Monthly. A series of 5K and 10K trail runs that brings runners to a different wine farm every month. After your run enjoy good food, wine and live music. The Crazy Store Table Mountain Challenge September. One of the most sought after races on the trail running calendar. Endure the full 44km on your own, or be part of a stage team. Muizenberg Monster April. 20K, 10K or 6K Beach Run. Lion’s Head Challenge April. Marathon and Half Marathon Trail Run.